Your child can learn to play chess well, even if you don't play. Our fun and engaging learning environment makes learning much faster than traditional methods. 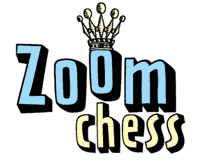 Chess is 99% tactics, and your child will learn them on ZoomChess, without ever picking up a book. From beginner to tournament champion... you'll see why thousands of kids around the world choose ZoomChess! Involvement in chess improves academic performance, strategic thinking, and emotional development. ZoomChess enables students to work independently, at their own pace, getting individualized curriculum to support every level of chess learning. As a supplement to after-school chess programs, Coaches get full access to reports detailing student progress. From learning the basics, to sweeping National tournaments, every level of learning and practice is at your student's fingertips.